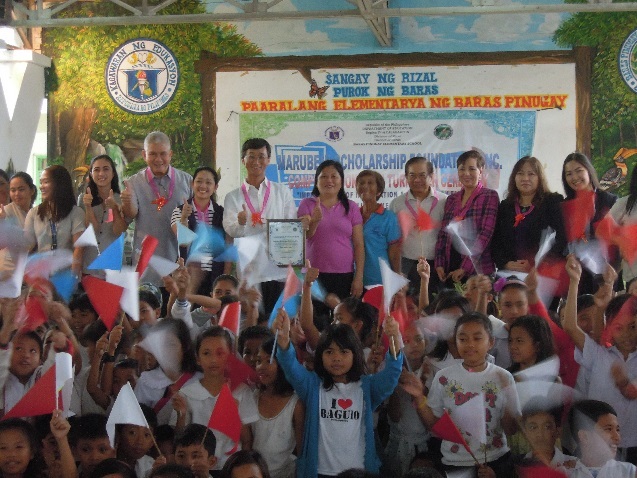 Marubeni Scholarship Foundation, Inc. (MSFI) donated a total of twenty (20) units of virtual desktop computers and one (1) unit of host PC to Baras Pinugay Elementary School, a public school located in Barangay Pinugay, Baras, Rizal. The school has a population of 4,752 students. Total donation amounted to around Php370,000. 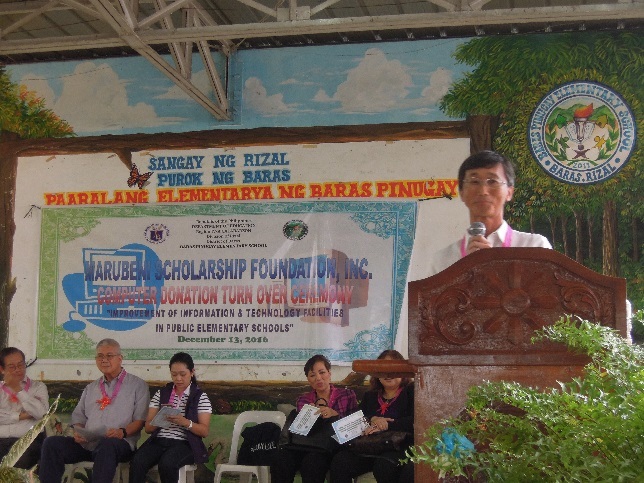 Baras Pinugay Elementary School is located in a village of Baras, Rizal. The students all come from low income families. 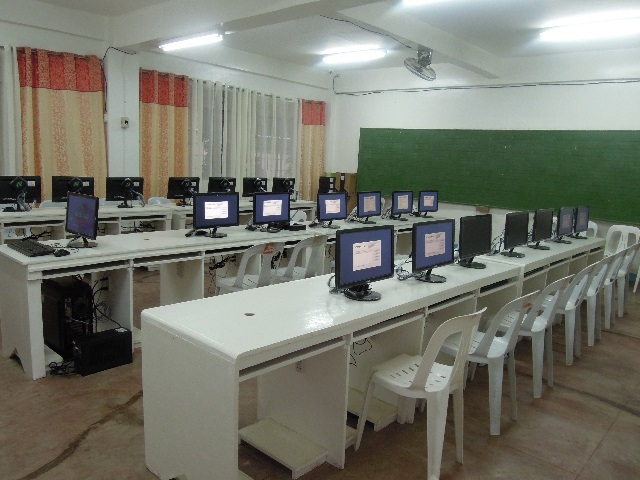 Though the school has a big student population, it did not have computers therefore both the teachers and the students appreciated the donation of computers which will greatly help in the elevating of the school’s educational standards. 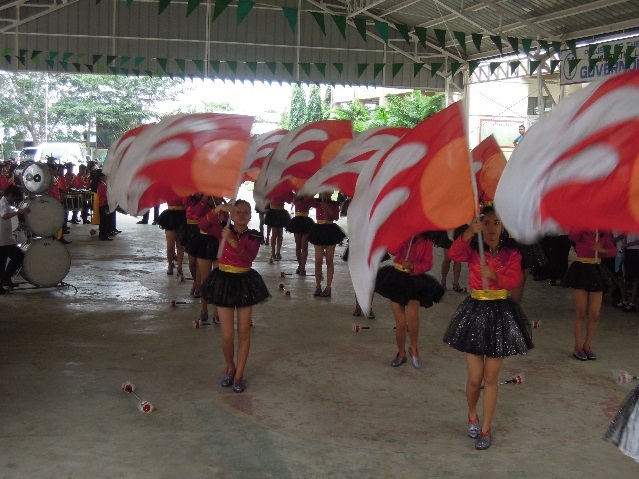 The Turnover Ceremony was held last December 13, 2016 at the Baras Pinugay Elementary School. 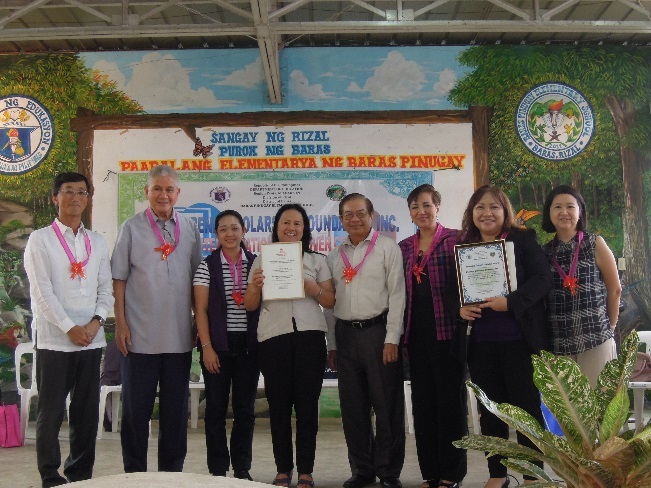 In attendance were the Board of Trustees and Officers of MSFI, officers of Marubeni Philippines Corporation, the Mayor of Baras Municipality, school officials, parents and pupils.